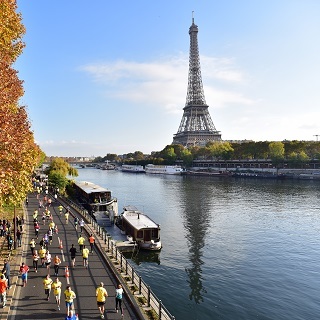 In 2020, the half marathon event at the Athletics European Championships in Paris will offer competitors a course along some of the iconic monuments of the City of Light, before the finish at Charléty. 2020 being an Olympic year, the half marathon will replace the marathon in the European Athletics Championships’ programme. However, the course offered to athletes is appealing: after starting at the foot of the Eiffel Tower, they will run along the banks of the Seine then wind their way through the left bank of the French capital. The event promises to be majestic, offering unforgettable images provided by the backdrop of key, world-famous Parisian landmarks: the Quai Branly Museum, the Esplanade des Invalides, UNESCO, the Montparnasse Tower, the Panthéon or the Latin Quarter. It will convince Parisians and tourists to cheer the competitors on. 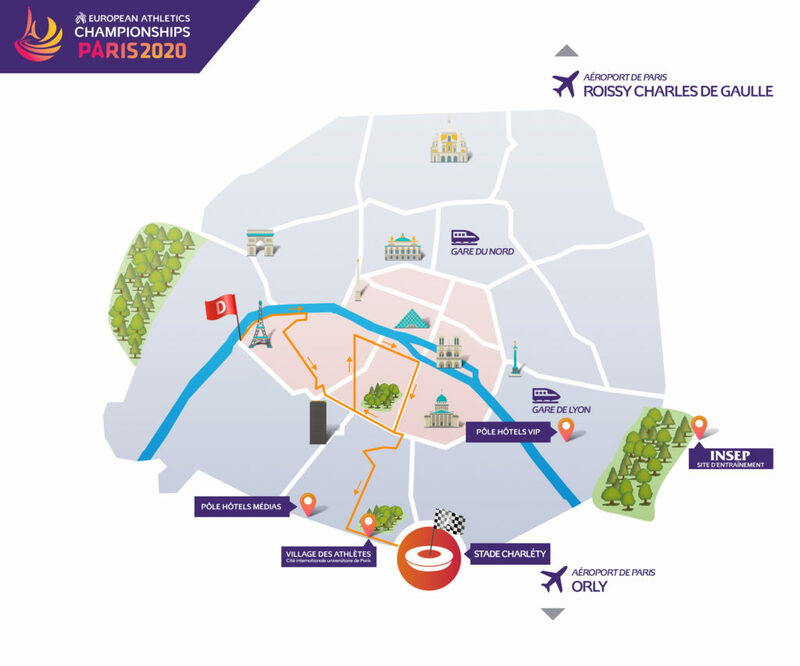 Competitors will be required to run twice around a 5 kilometre loop in the 5th and 6th arrondissements before heading south towards Place Denfert-Rochereau square and the Charléty stadium, for the finish. The public will be able to applaud the winner of the half marathon in style. Part of the route of the half marathon will be open to anonymous participants on the same day of the event. Amateur runners will be able to experience the atmosphere of the great event and enjoy the support of the public. This 10 km European Mass Race will follow the loop around the Luxembourg Gardens to finish not far from Charléty stadium.